Blue Jackets and Islanders on the verge of sweeping their respective series, Golden Knights take a 2-1 series lead and the Jets get their first win in this year’s playoffs. Details and more in today’s NHL morning coffee headlines. NHL.COM: The Columbus Blue Jackets are on the verge of winning their first-ever playoff series and eliminating the Presidents’ Trophy-winning Tampa Bay Lightning following a 3-1 victory in Game 3 of their opening-round contest. Sergei Bobrovsky made 30 saves while Cam Atkinson had a goal and an assist. The Lightning played without Nikita Kucherov (one-game suspension) and defenseman Victor Hedman (undisclosed injury). SPECTOR’S NOTE: It wouldn’t have mattered if Kucherov and Hedman were in the lineup. The LIghtning has been consistently outplayed in this series by a Blue Jackets team that’s gaining confidence with each period. While many of the Bolts have been part of this roster since 2015 and experienced playoff difficulties before, they never faced adversity throughout their record-tying 62-win regular season. They’ve forgotten how to deal with this type of determined, hardworking opponent that never backs down. You can see it in their growing frustration as this series goes along. They have no answers because they never had this problem during the regular season. The New York Islanders are also poised to sweep their opening-round series as they defeated the Pittsburgh Penguins 4-1. Isles goalie Robin Lehner kicked out 25 shots while Jordan Eberle scored for the third straight game. Penguins captain Sidney Crosby has yet to tally a point in this series. SPECTOR’S NOTE: Speed was a significant weapon in the Penguins’ arsenal during their march to two straight Stanley Cups in 2016 and 2017. However, most of their best players are now in their early-30s and seem to be struggling to keep pace with the fleet-footed Islanders, who hold a 3-0 series lead for the first time since the 1983 Stanley Cup Final. Eberle, who was traded by the Edmonton Oilers over concerns of his postseason scoring, has silenced his critics with his timely offense in this series. Mark Stone’s hat trick powered the Vegas Golden Knights to a 6-3 win over the San Jose Sharks to take a 2-1 lead in their series. Paul Stastny also scored twice for the Golden Knights. Sharks center Joe Thornton could receive supplemental discipline for his headshot on Golden Knights winger Tomas Nosek. The Sharks also played without defenseman Marc-Edouard Vlasic, who suffered what appears to be a head injury in Game 2. SPECTOR’S NOTE: Slow starts and shaky goaltending plagued the Sharks throughout the regular season and were on display in this game. 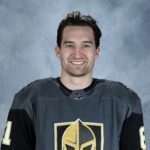 Stone, meanwhile, has been the Golden Knights’ best player in this series. Kyle Connor tallied twice, Patrik Laine scored for the third straight game and Dustin Byfuglien had a goal and an assist as the Winnipeg Jets downed the St. Louis Blues 6-3. The Blues lead the series two games to one. Blues defenseman Robert Bortuzzo played in this game after receiving seven stitches to close a cut on his right wrist in Game 2. SPECTOR’S NOTE: The Jets were getting plenty of scoring chances in the first two games of this series but were thwarted by Blues goaltender Jordan Binnington. Having finally broken through in Game 3, expect the Jets to keep up the pressure on the St. Louis rookie. SPORTSNET: Toronto Maple Leafs center Nazem Kadri will have an in-person hearing today with the NHL’s department of player discipline for cross-checking Boston Bruins winger Jake DeBrusk in the head during Game 2 of their opening-round series. NBC SPORTS BOSTON: DeBrusk and teammate Torey Krug both traveled with the Bruins to Toronto for Games 3 and 4 of their series with the Leafs. No word if they’ll be skating in Game 3 tonight. BOSTON HERALD: The Bruins blueline depth is being tested with Krug, Kevan Miller, John Moore, and Connor Clifton sidelined or banged up. THE TENNESSEAN: The Nashville Predators provided no updates to the status of sidelined forwards Brian Boyle (illness) and Wayne Simmonds (knee). THE DENVER POST: The Colorado Avalanche signed 2019 Hobey Baker Award winner Cale Makar to an entry-level contract. The young defenseman could make his NHL debut tonight in Game 3 of their opening-round series with the Calgary Flames. Erik Karlsson has been on the ice for 9 of the 13 goals scored by Vegas so far in the playoffs. That isn’t going to get him a long-term $11 mil + per contract. I will do you one better….. JJ once again cost another victory. Yep. Let’s see … take a stupid penalty, be on the ice for the game winning goal; be out of place and direct cause for a goal; if it were not for great saves and/or posts and/or for a team-mate blocking a gaping net goal, JJ would have been at fault or partially at fault for 4 goals against….. This is not a recording…. it is a duplicative summary of many many many games he has played this year; including games 2 and 3 of the series. I’m not taking anythng away from NYI. They have been on fire. The have rushed well; blocked well; won the 5 on 5 battles. And yes, Geno, Phil and others have been a no show. Sid has played well but w/o a point. Unfortunately he gets a minus 3 moniker for last nights game (minus 1 for the lengthy shot EN goal; but 2 more minus because he happened to be on the ice when JJ was. Crosby’s line hemmed in for long periods of time due to either JJ missing his position; flubbing a break out pass; or shooting it to get it out; but not hard enough and it stays in Pens zone. Game one could have gone to Pens (went to OT). That game was the best chance of a win…. guess what, JJ was NOT in the line-up that game. I’ve been ragging and ragging and ragging on JJ all year. Yes he is the worst D man in the entire league. There is no question on that. That said, I HAVE to lay blame on Sully for these two losses. After game one, and taking it to over-time; and playing w/o JJ; he came back in game 2 with JJ and booted Maata. Unbelievably strange move. As soon as they announced JJ was playing; I knew that Pens would lose and bet a friend that JJ would cause the winning goal. I won…. two stupid penalties and direct cause of GWG. Now after that coaching goof up; you would think that there was NO WAY IN HELL that JJ would play game 3 right!!! Wrong… Sully announced JJ playing. This will be on Sully. There is absolutely no way Martin and/or Gonchar are recommending that he plays. No way No How. As soon as that was announced; I set the game to tape and watched Tiger win the masters. I highly highly highly suspected another loss and JJ on the hook for it, so watching it live (instead of the masters) was not to my liking. So, after Tiger donned the Green Jacket; I watched my taped Pens game…. and was proven right again. I’m asking all here…. if Sully comes back and plays JJ in game 4, should he be fired. This is NOT a rhetorical question. I’m serious here. If you play somone that has an extremely high chance of costing you a game; your an idiot. If you play a player that has an extremely high chance of costing you getting into the playoffs; you are a bigger idiot and you are on the verge of being fired. ……then you need to be fired. These games were painful to watch. Jack Johnson in game 3 played team low 14 mins and still able to pull off a 28.6 CF%, 12 high danger chances against on 5v5 as well. That is just about as bad as it gets. With JJ out of the line-up in Game 1 and the OT loss I expected the Pens to bounce back in Game 2. I think they’ll lose Game 4 too. Too many player are invisible. May bei GMJR has to overhaul the roster. And that could include trading Malkin and Kessel. To say Karlsson has been a disappointment for the Sharks would be a huge understatement. I watched this game and saw very poor poor defense all around, but as Karlsson was the worst culprit. The Sharks are my team, but they won’t make it out of the 1st round playing like this, and all Vegas has to do is to keep putting a lot of shots on Jones. The only way they might pull a rabbit out of the hat is by playing the college goalie they just signed from out east. Bolts losing the series will be the biggest storyline in history. Yes Kucherov and the big man out hurts. Clb is playing very very very well. My gut says the Bolts win game 4, and then game 5 but winning the series…. very slim chance now. Saw the Winn game… they finally broke through the Binnington wall. The kid still played well, but this just may be the turning point for Winn. I couldn’t stay up late enough to see the VGK/SJ game. From the posted stats it looks like it was the Stone (3-2-5, +4)/Statsny (2-3-5, +3) show. Were they good goals or was Jones not playing well? Sullivan and Cooper can only put their big producers out there but if they don’t deliver, in the final analysis it’s all on them. I accept the analysis of Bolts players. Note though that Kucherov and Hedman out for game 3 and Hedman was playing noticeably hurt in games 1 and 2. Bang on w.r.t. Geno and Phil. I challenge the assertion w.r.t. Crosby and Guentzel. They have not put up points but they have had great chances. Some fantastic saves and the odd flubbed shot have prevented a few goals. In addition, Sully has repeatedly put out JJ when the Crosby line is on and because of JJ, the Crosby line gets hemmed in their own end quite a bit. Add to that stupid penalties and the 5on5 play (number of minutes) with Sid’s line is diminished. The PP has been very very bad and it is not so much the coverage by Isles but the brutal breakout and the missed passes….Geno a few times, Phil several times; Letang a couple; Sid one; Guentzel one. 0 for 4 on last 4 PPs , from a team with a good PP unit; that is costly. Setting aside all bias; I truly believe that if the OT game had gone the other way; AND Sully had not played JJ in game 2 or 3; Pens would be up 2-1 in the series; perhaps even 3-0. That is not me looking at things through foggy lenses. That is a pragmatic look at the issue. winning in OT game one; has Pens coming out with more confidence. Add to that having JJ out of the line up; takes away 2 brutal penalties against; and the GWG in game two. I think Pens win that game. Now if they are up 2-0 in the series and coming home and NOT playing JJ… very high odds of a victory… so my scenario of up 2-1 or 3-0 IF they had the OT win in game 1 and NOT played JJ in games 2 and 3, is NOT fantastical; but more logical. He (JJ) just has that much of a negative impact on the team. This is not a joke. I actually thought they could be saying that. This is what it has come to. One thing I learned early on in life – both as an observer and participant in sports – is never to engage in woulda, coulda, shoulda. It will only drive you nuts. Instead, I latched onto didn’t, wouldn’t f^*k it. I thought the rant was over? TSN showed what the arguments (by Leafs) for no suspension would be —- precedents with only 1 or 2 suspensions previously given out due to cross-check to face/neck. That said— repeat offender; unfortunately I think he’s getting 4 or 5 games. In the Car/Wsh game the other night; blown call on Ferland— ejected, 5 and a game. Does anybody know if that got rescinded as the entire broadcast had anticipated? In addition , they were talking about a review of Hamilton’s hit but no such talk of Ovechkin’s deliberate elbow to the head. If they reviewed Hamilton’s and didn’t even consider a review of Ovechkin’s, then IMO, that is a huge bias in favour of Wash…. cite: Wilson in last year’s playoffs pumbles Dumo’s face; no call. He then obliterates ZAR’s entire skull…. no call; and instead of 5 min PP and already up by a goal late in 3rd; Wilson contributes to GTG and GWG. Safety comity later gives him the suspension. If they review Hamilton’s hit; Ovi’s MUST be reviewed as well. I’m one game closer to getting my cookie. The Hater list is getting longer. Possible Penguin and Tampa could be swept resulting in both being the first two teams eliminated from the playoffs and who seen that coming! Originally thought Kardi would get 3 but after listening and reading the “Toronto Lover Boys Club” I thinking he’ll get 5 games. Erik Karlsson maybe a -3 but he also lead San Jose in scoring with 5pts which translate into $$$ how much remains to be seen and could depend on how San Jose ends up. Patrik Laine with a goal in 3 straight games and is starting to use his body is rebounding from a brutal 2 half of the regular season. If he continues his value will start to come back. Vegas with Stone, Stastny and Pacioretty all whom were with different teams last season are presently the best line in hockey. I would expect a closely call game tonight in Toronto with the out cry from all corners on the refs losing their handle on game 2,i believe they’ll tighten their grip hopefully not at the expense of physical hockey. When you are outplayed 8 out 0f 9 and still refuse to give the team you are playing any credit what so ever because you won 62 regular season games and played in a division that has 3 of the bottom 5 teams in the NHL. Don’t think you can beat a team that doesn’t read your press clippings. John Copper is an arrogant coach. As an Islander fan – I’m still cautiously optimistic. It’s still a stacked sleeping team they’re playing. JJ and Gudbranson look like they’re playing in a different time. I’m a certified leaf hater but that last game was WWE and the refs put the whistles away….and maybe a bit too much. Both teams coulda/shoulda played most of that game shorthanded. I’ve noticed that Gino falls down or is easily knocked down a lot. Like Brady Tkachuk style.